9GAG is one of the most popular community-driven comedy websites on the internet today and for good reason: it wraps the fun of social websites like Reddit into a very easy-to-browse website. While 9GAG does offer a mobile website optimized for devices with smaller screens, it doesn’t have any native app. We prefer native apps since they are faster and come with extra features. 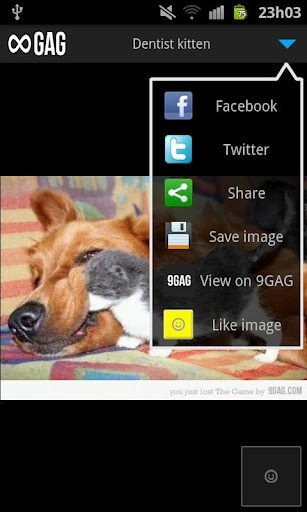 Today, we’ve compiled a couple of (unofficial) apps for browsing 9GAG on Android. Check them out after the jump. The two apps are called 9GAG and InfiniteGAG. We decided to cover both of them since they have different user-interfaces and so, it comes down to preference. 9GAG lets you view “gags” in full-screen and navigate using up/down volume buttons (or left/right onscreen buttons) whereas InfiniteGAG is not full-screen and can only be navigated by scrolling through touch. InfiniteGAG: Your daily set of infinite funny images! Bored? Download InfiniteGAG! Navigate easily through thousand of hilarious images from the famous 9gag.com site! All in the palm of your hand, anywhere and everywhere for free! 9GAG/+: Browse 9gag. 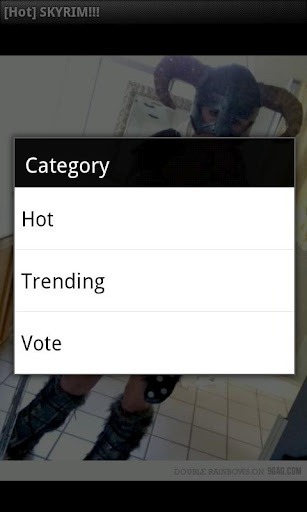 This is the first ever and original 9gag App in the Android Market. Use the Volume Up/Down keys or tap the right/left sides of the screen for navigating forward and backwards. We’ve tested both apps on a Samsung Galaxy S II on Android 2.3 Gingerbread and can confirm that both work as claimed. Both apps let you like posts, share posts on Facebook, Twitter and pinch to zoom images though only 9GAG lets you view comments. The ability to see comments will be included in a future update to InfiniteGAG. Neither app is completely stable as we saw our fair share of “force closes” (Android-speak for “crashes”), but that is understandable as the developers have clearly stated that they are still works-in-progress. InfiniteGAG is completely free while 9GAG comes in two versions: free with a somewhat limited feature set and a paid, ”+” version that comes with features like the ability to like posts, auto-fit images, navigating by swiping and more. My personal recommendation? 9GAG’s free version!